The Tyra Horns Gatcha for GG! Gorgeous 100% mesh horns with super special versions as the rares and seed of inspirations! Rare is hud controlled with 42 horn gradients and a glow/tint/ on off switch for the glowing crystal accessories. 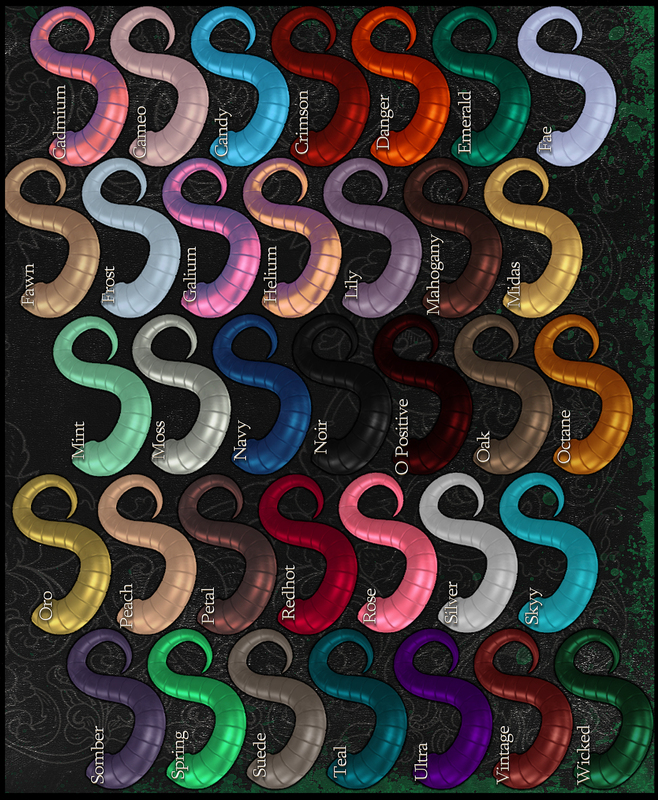 35 common solid color horn types available! ~ by Vae on November 3, 2016.